Many follow the guidelines of how to achieve the ultimate lean look but for some people they still cannot achieve their desired goal. Many may assume that it is fat, but it may just be excess water. In fact, the potential underlying cause is due to the excess fluid beneath the abdomen also known as subcutaneous water. In a body builder’s point of view, the ultimate goal is to achieve maximum muscularity with the least amount of subcutaneous water. Here in this article we will be covering the most common questions people ask about water retention, the cause of water retention, the relationship between water retention and weight gain and outlining a few tips on how to reduce the temporary water weight gain some of you may have experienced. Water Retention or Fluid Retention is when there is an excessive build up of fluid located in the circulatory system or body. This often occurs in the areas of the abs, hips, or thighs despite how much exercise has been performed. It is said that approximately 50-60% of our total body weight is made up of water and how much we retain fluctuates with respect to our eating habits.1 Although many individuals may experience water retention, there are ways of getting rid of this temporary condition. But first, we will cover the key factors that can cause water retention to the body. Sodium levels are one of the most common causes of water retention. It is crucial to ensure sodium levels are not too high before the body starts to retain sodium and water in the kidneys. The relationship between sodium to water storage has to do with the amount of sodium you consume. Therefore, if sodium levels are high, you may experience a ‘bloated’ appearance. Creatine can play a significant role in water retention. Creatine causes water retention but only if consumed in high doses during loading phase (more than 5g per day). Although consuming creatine may cause slight water weight gain, you are also gaining more energy during intense exercise which leads to greater muscle growth and weight loss. When you do not get enough water, instead of excreting water and waste products, your body retains existing water to reuse. This is another cause of water retention and bloating. So it is important to always keep hydrated whether you’re training or not. 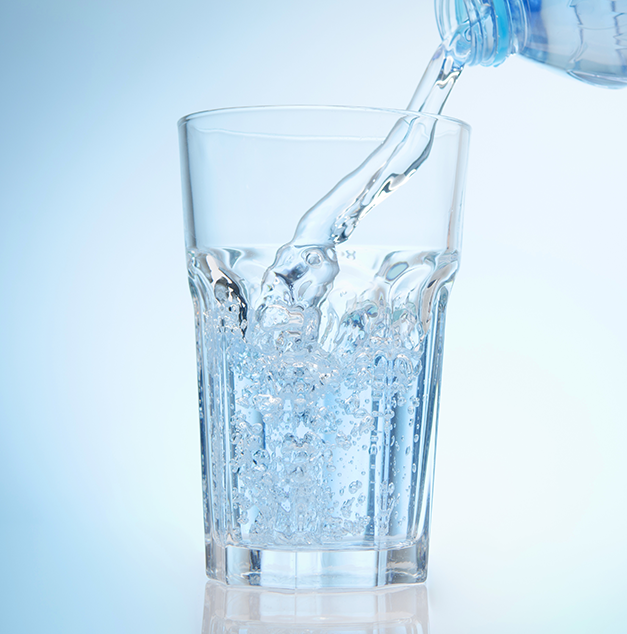 Regularly drinking enough water will help water retention subside as well as eliminate signs of bloating. When you drink enough water it can help return your body’s processes back to normal equilibrium. Hormone balance definitely plays a fundamental role in water retention. The main hormones that influence fluid retention are cortisol, progesterone, estrogen, and insulin. Cortisol for example, is a significant hormone that can cause water retention due to its interference with aldosterone (hormone that regulates fluid balance). Nutritional deficiencies such as magnesium and vitamin b6 can impact water retention. If you happen to be deficient in magnesium, one of the side effects is water retention but this can be easily fixed through magnesium supplementation. As for vitamin b6, it is a water-soluble vitamin that is in control of most of the water balance in the body, as a result it may contribute to water retention. A deficiency in vitamin b6 overtime can result in symptoms including anxiety and depression, fatigue and confusion. Water Retention and Weight Gain? Although there are various factors that can cause a slight weight gain, there are ways of reducing temporary water weight gain. Depending on your goals and health conditions, it is important to stay on track with exercise and keep up with healthy eating habits to achieve maximum results when trying to reduce temporary water weight. Although many people may experience the effects of water retention, there are solutions and tips to avoid water retention. Below are several tips on how to reduce the temporary water weight gain. Many find the idea of drinking water to lose water ironic and contradictory but this method works. The way your body works is when it is dehydrated is that it automatically goes into a ‘survival’ mode and stores more water in case you need it for later. An essential step in reducing salt intake is to eat less processed foods. It is important to be wary of processed and packaged foods manufactured by industrial food producers as there may be more sodium added than you think. Examples include chips, biscuits, and cured meats. For cases of water retention caused by high levels of sodium in the body, increasing potassium in your diet can be an effective treatment. It is said that potassium can potentially reduce water retention by increasing the production of urine and decreasing the amount of sodium in the body. Examples of potassium rich foods to consider are bananas, avocado, dark leafy greens and spinach. Fiber is an essential nutrient that plays a significant role in water retention. Try to consume more fiber rich foods such as whole grains, nuts, fruits and vegetables, as these rich sources of fiber can help absorb a large amount of water through the intestines. Lastly, herbal supplements such as Dandelion Root or Taraxacum officinale has recently been gaining more attention in the supplement industry. It is commonly used as a natural diuretic that is often used to treat water retention. It acts to help ‘flush out’ any excess fluid in your body. 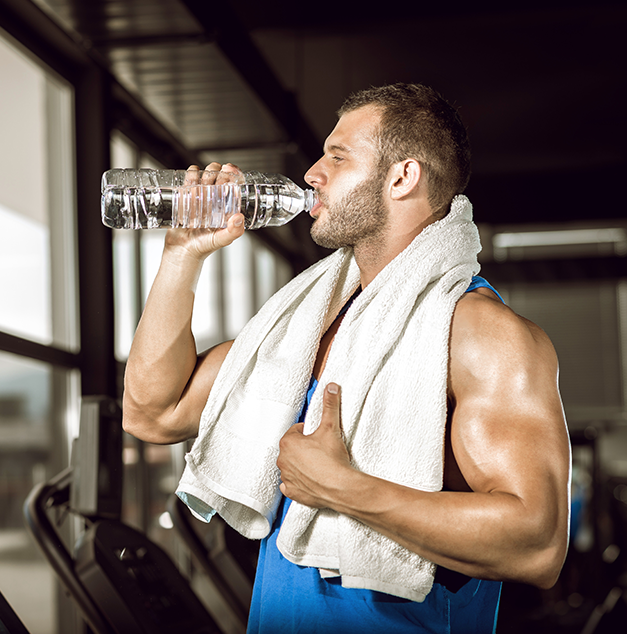 Overall, whether you are exercising or not your fluid intake needs to increase. The body must work correctly to prevent fluid retention and this can be easily resolved through supplementation, diet or exercise. 1. Anne Marie Helmenstine, Ph.D. and Ph.D. Anne Marie Helmenstine. "How Much Of The Human Body Is Water?". About.com Education. N.p., 2016. Web. 29 Dec. 2016. 2. "Salt And Hypertension | Nutrition Australia". Nutritionaustralia.org. N.p., 2016. Web. 29 Dec. 2016. 3. "Information On The Causes Of Body Water Retention". Native Remedies. N.p., 2016. Web. 29 Dec. 2016. 4. "Don't Pass The Salt: Health Problems & Water Retention!". Bodybuilding.com. N.p., 2016. Web. 29 Dec. 2016. 5. "Water Weight Gain: What Is It And How To Avoid It?". Consumerhealthdigest.com. N.p., 2017. Web. 27 Jan. 2017.